Martha’s Vineyard Museum operations director Katy Fuller is often asked about the biggest object in the museum’s collection. Is it the Fresnel lens that once lit the Gay Head Light? No. The old Edgartown catboat vanity? Wrong again. 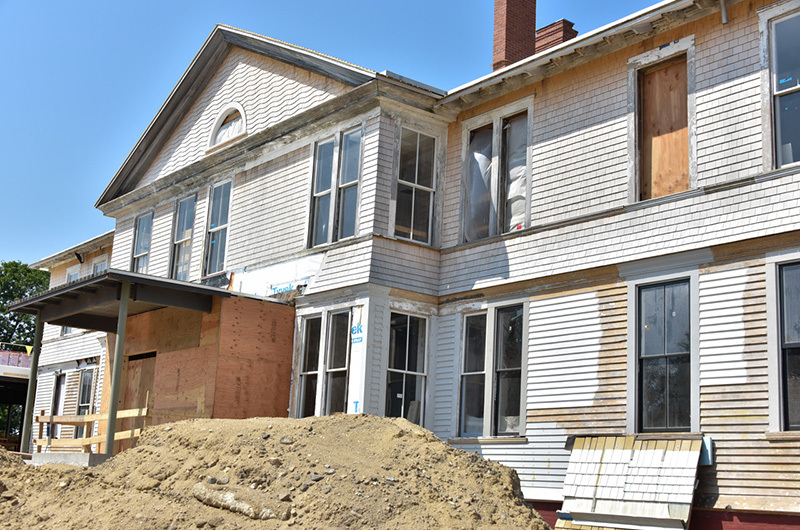 It’s not often that the largest object in a museum’s collection is the museum itself, but that became the museum’s dream when it bought the 19th-century Vineyard Haven property in 2011. 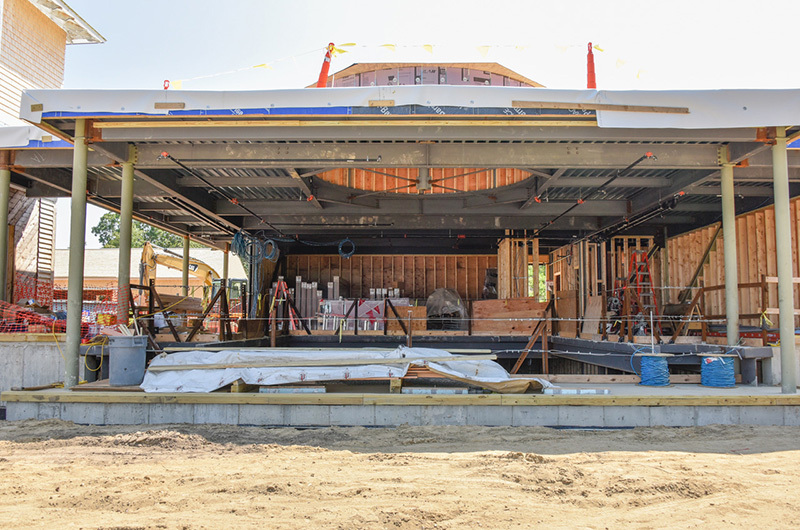 Since then, the museum has undertaken a years-long, $31 million project to retrofit the historic, 10,000-square-foot wood structure overlooking Lagoon Pond from a 29-room hospital for ailing sailors into a state-of-the-art museum facility. 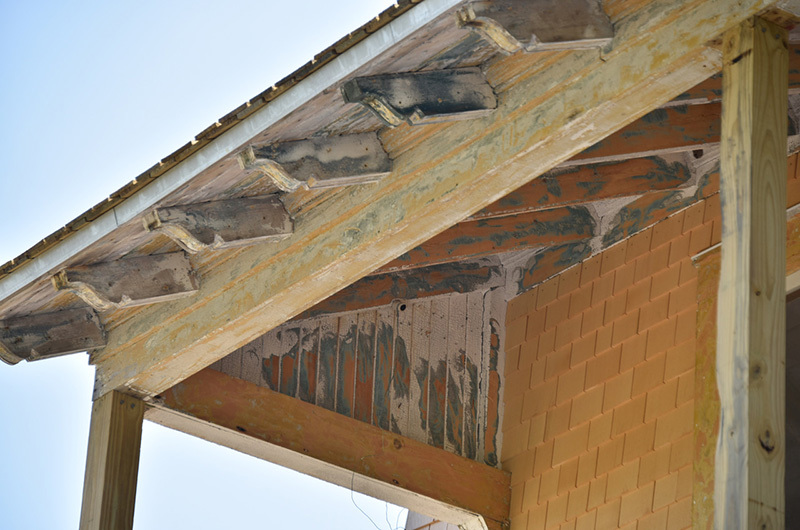 Construction began last October and barring setbacks, is set to finish this September. Ms. Fuller has been leading hard-hat tours for members of the public for some weeks now, showing generous donors and scurrying schoolchildren the bones of the museum’s future home. “There’s huge interest, which is very exciting,” she said. She estimates that she has already shown 500 people around the site, and that doesn’t include the 500-odd more who walked through on their own at the Evening of Discovery fundraiser last Saturday. will house the lighthouse base and mechanisms, along with a surrounding exhibit on shipwrecks. The irony of a shipwreck exhibit below the lighthouse wasn’t lost on Ms. Fuller. “The idea is that up here on the top floor, it is light and airy, and then downstairs, without the windows, is dark stormy shipwrecks,” she said. either too heavy, or too large to put in the elevator. The tour comes with constant reminders that walls have wet paint and the cacophony of jackhammers, sanders and chainsaws in the background. There is major work left to do, Ms. Fuller acknowledged later in a text message. “We need to excavate and waterproof the 1895 brick foundation. Obviously almost all the painting is yet to be done. Floors need to be refinished. 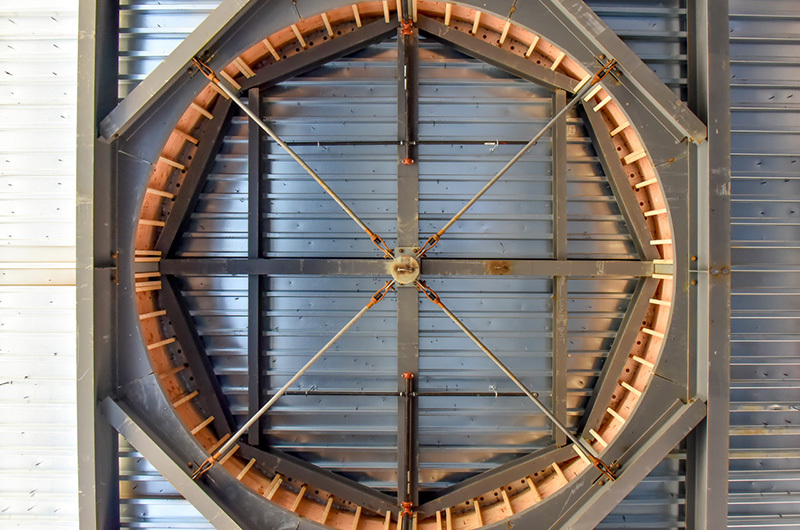 Electrical fixtures need installation. We need to finish plumbing, and trim,” she wrote. But she and the contractors at Consigli remain confident that it will get done on time — notwithstanding the obvious interruptions during hard hat tours. “They’re like, we’re trying to get your project done, and we’re like, yooo, we’re still trying to raise money,” Ms. Fuller said. Leroy Blood, a worker with Consigli, has been involved since 2011. “It’s sort of like my friend now,” he said. Ms. Fuller, a 10-year veteran of the museum, feels similarly. “Sometimes its emotional to see the progress because I feel like it’s a third of my life that’s now being realized here,” she said. 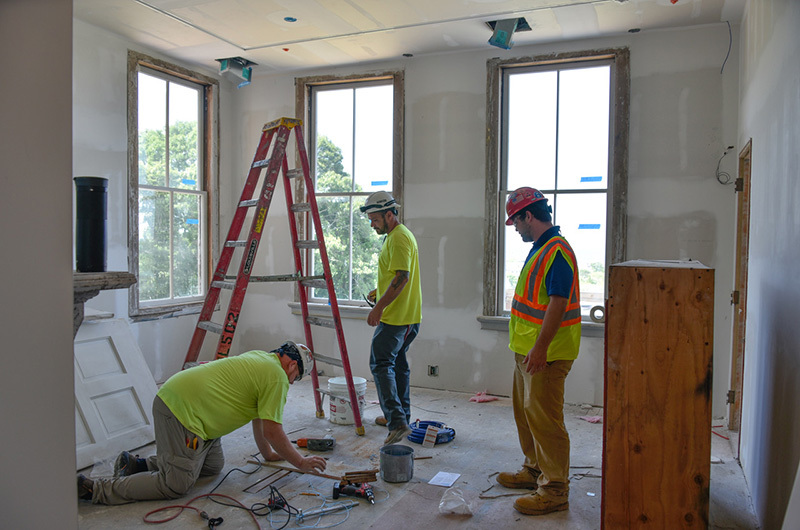 To honor the project, museum curators plan for the first rotating exhibit to showcase the art people have done of the building during the construction process. Until then, it’s the Island’s construction site. And with a hard-hat tour, it’s open for exploration, too. 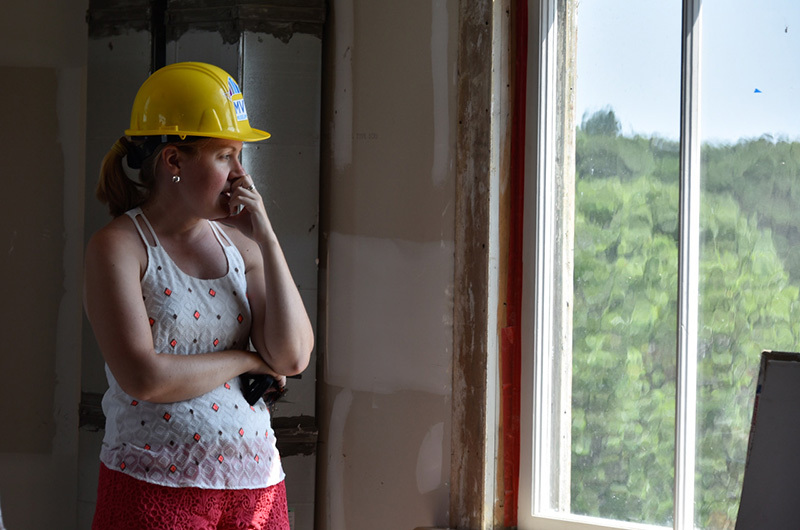 To arrange a hard-hat tour, call Katy Fuller at 508-627-4441, ext. 123. I ran around that place when it was St. Pierre camp. What an amazing place. 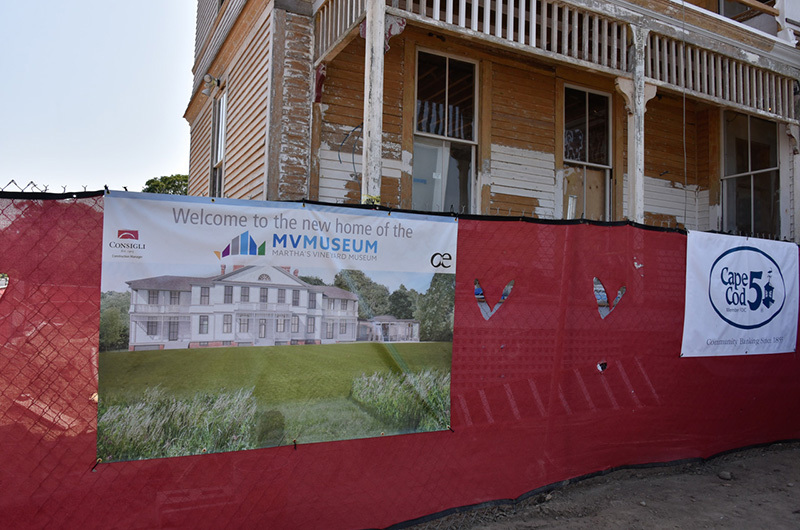 The $31 million Martha’s Vineyard Museum restoration project is weeks away from becoming a reality.